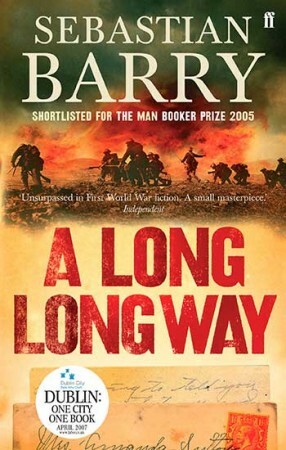 Shortlisted for The Man Booker Prize in 2005 A Long Long Way was hailed in the Sunday Tribune as ‘One of the most moving fictional accounts of war that surely must rank alongside those real-life testimonies of Owen and Sassoon’. In it, Barry brings to life the divided loyalties that many Irish soldiers felt during the First World War and maps one man’s transition as the war separates him from everything he knows and loves. Sebastian Barry, born in Dublin in 1955, is a playwright, poet and novelist. His play, The Steward of Christendom, first produced in 1995, won numerous awards and has been performed around the world. He is the author of three acclaimed novels, The Whereabouts of Eneas McNulty, Annie Dunne and A Long Long Way, which was shortlisted for the Man Booker Prize in 2005. He Lives in County Wicklow with his family.